Adoption of the Riddle'Thar Epiphany was not without controversy: when the priests of the Shrine of the Consummate S'rendarr in the Jodewood refused to accept the new edicts, they were exiled and the temple deconsecrated. Today it is a bandit lair. 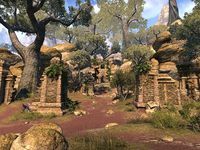 Claw's Strike is a ruined Khajiiti temple in western Reaper's March, located to the north of the Do'Krin Monastery containing Dawnmead Bandits. They are led by Fishbreath. 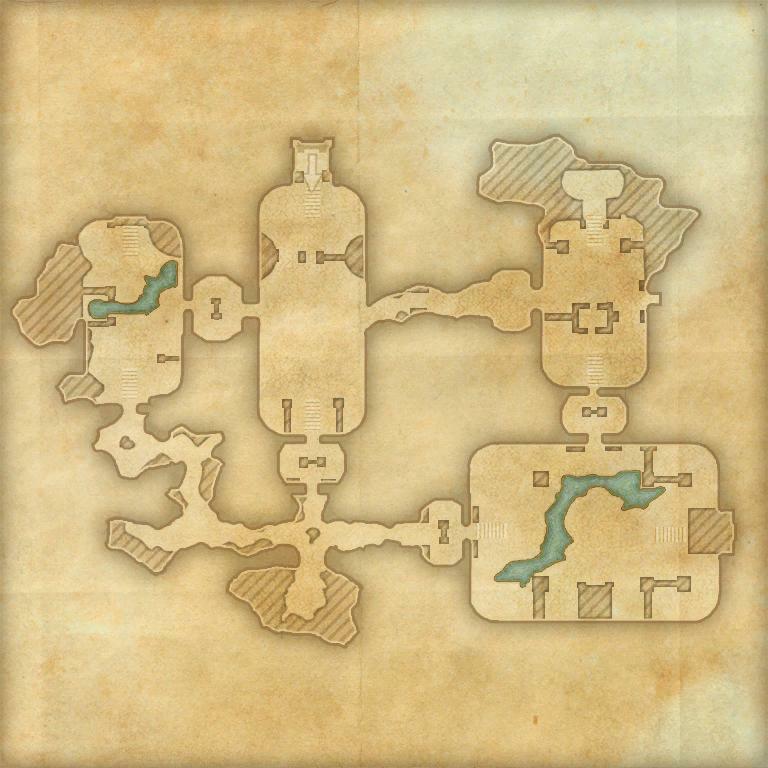 This delve contains a Skyshard, three copies of Skooma Runner Logs, and a Note to Marianas. To Honor the Fallen: Help return home relics and bones from ancient battle sites. Mascot Theft in Reaper's March: Defeat the leader of the skooma peddlers and rescue a Bantam Guar mascot. Explore and clear Claw's Strike. Claw's Strike Explorer 10 Explore and clear Claw's Strike. The walls in the northeastern hall are not well fitted and sometimes glitch, trapping players inside. This page was last modified on 25 May 2018, at 19:38.